Ironically, it's my favorite writer about classical music, Jan Swafford, who has the pithiest takedown of one of my favorite composers, Philip Glass. "Simple rippling lines repeated over and over," is how Swafford describes Glass's music. "In the process the ideas, which are not necessarily interesting to begin with, do not become any more interesting." Historically, that was a line that much of the critical establishment took on Glass. He could never be dismissed entirely: his sterling bona fides included tutelage by Nadia Boulanger, he was indisputably central to a certain postmodern musical moment in the 1970s, and for decades he's been the most popular living composer of what could be remotely construed as "classical" music. The pique probably peaked in the mid-1980s, when the album Glassworks (1982) became an unlikely marker of yuppie cultural capital. It was bad enough that this maddeningly "minimalist" composer became the breakout popular star of his generation — he did so by seemingly selling out, trading his rigorous trademark style for an accessible, richly orchestrated and synth-heavy, new soundscape. To many ears, he came precariously close to the new-age composers who classically trained musicians thought were pure airheads. Today, though, as Glass celebrates his 80th birthday, does he still need defending? He's now a lion of the classical establishment, a living legend whose life bridges the era of Stravinsky and the age of Muhly. If he's looked upon more kindly today, though, it's not necessarily that his music evolved to match critical tastes — it's that the world caught up with him. Whether or not Glass's music is your cup of tea, it was prescient in many ways. In breaking with his early style and adopting a hard-rocking, unapologetically tonal minimalist vibe, he broke with the academic classical music establishment that was choking so many composers (let alone listeners) to death by the early '70s. He saw that the future of art wasn't in recital halls, it was in the warehouses haunted by radicals like Chuck Close, Richard Serra, and Lou Reed. His Einstein on the Beach (1976) may well be the best-known original opera of the past half-century, not because of its sparkling melodies (hardly), but because it was a happening. The steady counting, the surreal storyline, the churning rhythms — it was a new kind of musical theater for a new time. It runs five hours, with no intermission: you're encouraged to come and go as you please. Glass became increasingly known for film music, another zeitgeist he caught at the right time. In the last 30 years film and video game soundtracks have effectively entered the classical music canon; once a curiosity, they're now a mainstay of orchestral programming. Glass was long called "America's most famous living composer," but that title now belongs to John Williams, in part because our definition of what counts as "composing" has broadened. In film, Glass continued to associate himself with accessible auteurs like Godfrey Reggio (the Qatsi trilogy) and Errol Morris, sliding over to tasteful Oscar bait like Kundun and The Hours. By the time Glass collaborated on a Fantastic Four score in 2015, nobody blinked. Meanwhile, he blurred the lines between film and opera with pieces like his sung score to Jean Cocteau's Beauty and the Beast. When David Bowie died, classical music stations around the world turned to Glass's symphonies interpolating Bowie's music. Bowie, it was clear, was a towering musical figure whose influence spanned genres. Glass recognized that "Heroes" was our new Ode to Joy, and demonstrated the music's power in a symphonic setting. Among the minimalist generation — whose members are fated to be remembered as such, however vigorously they may try to separate themselves — John Adams and Steve Reich remain better-respected from a purely musical perspective. 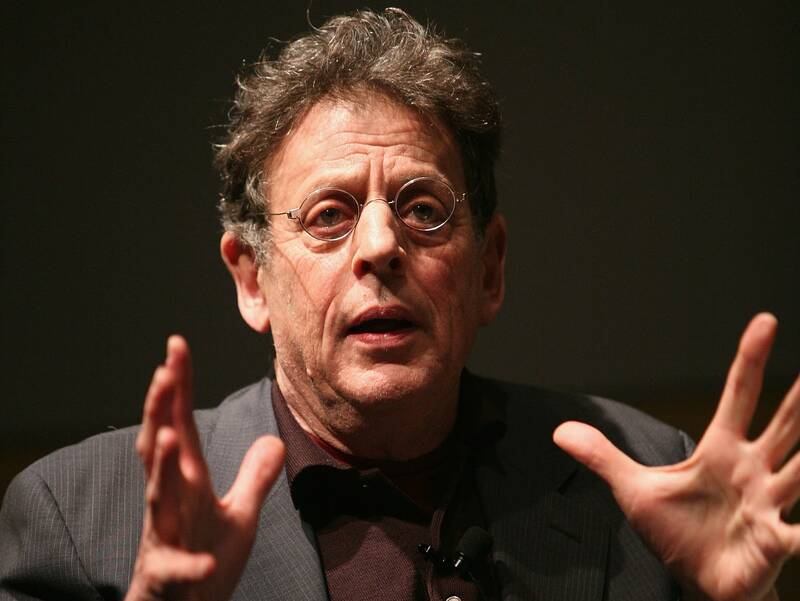 They've both produced bodies of work that are far more musically diverse than Glass's, which is rarely difficult to identify as "Philip Glass music." Still, musical genius is about more than what music you write: it's about when you write it, and where you put it. Glass has been in a lot of the right places, at a lot of the right times, for 80 years and counting. Happy birthday, maestro.